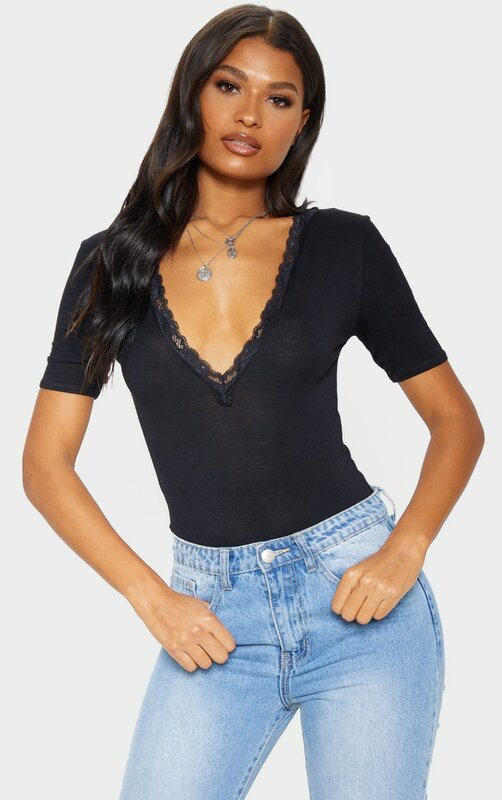 Add a little luxe to your off-duty look with this bodysuit. 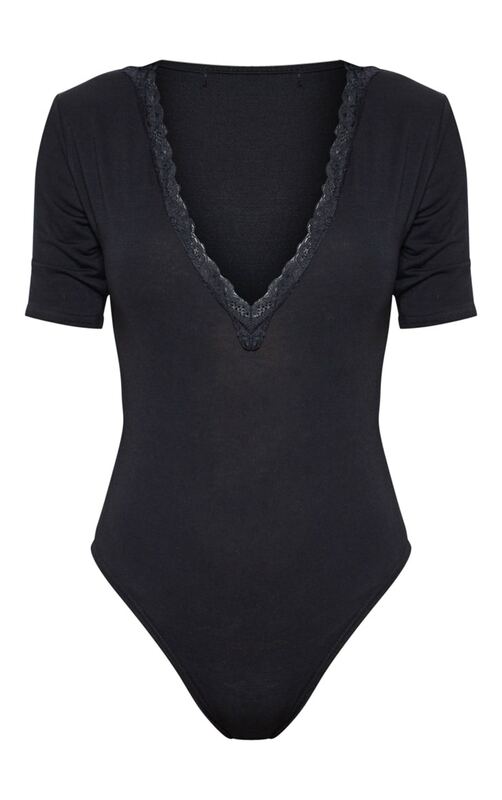 Featuring a black material with lace detailing, short sleeves and popper fastenings. 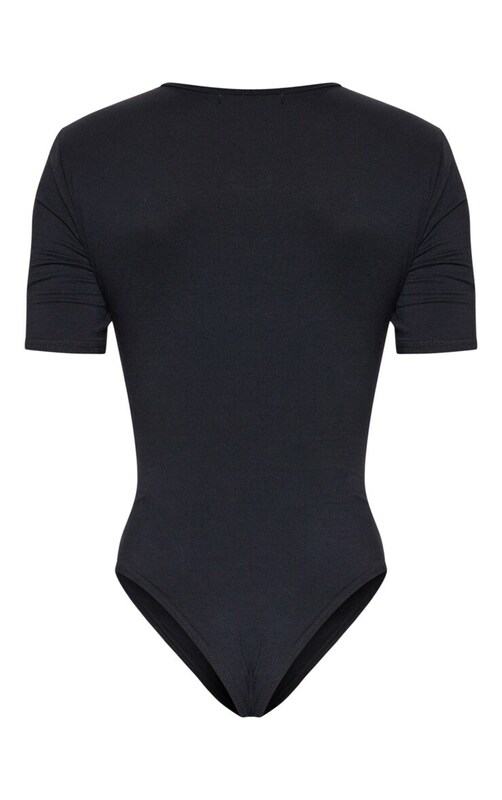 Team this with light wash jeans and strappy heels for a day to night look.